Planning your wedding can be the most stressful time in your life, although ours is yet to be. Planning your own outfit is bad enough but then planning them for your wedding party, especially the children. We only have one child in our wedding party - Jack. When we were looking at suits for the men we price enquired about one for Jack and it was the exact same price for an adult one. Hes half the side, in fact a third of their size so why is this? In the end we managed to get a good deal and Jacks outfit was free but I did begin to look around stores for his suit. Many high street stores now do a fantastic range of wedding outfits for children, and all of the items included are really cute. We are attending a wedding this summer where I am a bridesmaid so we decided to get Jack a little suit to take but were getting it nearer the time just in case he has a sudden growth spurt. However, we were then given the opportunity to review a children s wedding outfit of our choice from Marks and Spencer. Marks and Spencer's are well known for their good quality clothing and luxury food and their children s wedding outfits are the same quality. If I had a little girl in my wedding party I would definitely love to get a dress from the M&S Flower Girls range, there are a range of beautiful dresses starting at £18 - such a bargain! However, I don't I have a little boy so we set about choosing a cute little outfit for Jack to wear to our summer wedding. The wedding in the summer, the colour scheme is blue so I set about avoiding a blue suit just in case, and then the usual is black so I instead opted for a grey suit. Within the page boys range there is a range of 4 piece suits starting at £38 or singular items starting at £12. 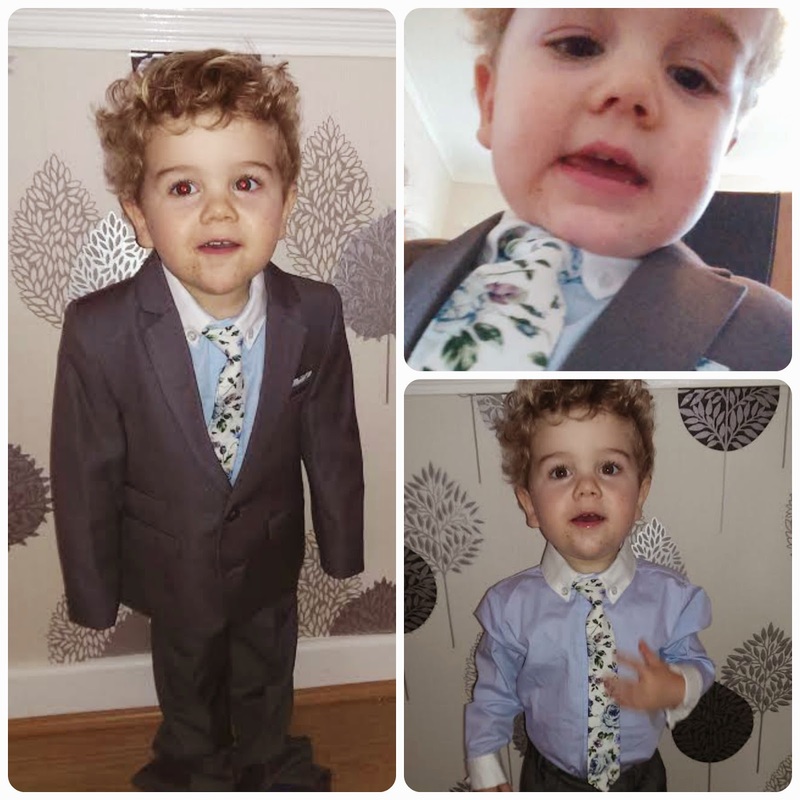 We chose this jacket, shirt and tie outfit which costs just £25 and then these adjustable waist trousers costing £12 so a total outfit for Jack for £37 much better than what we were quoted for a suit for him for our own wedding. Both of the items are from the autograph range at M&S which is a highly recognised range there. 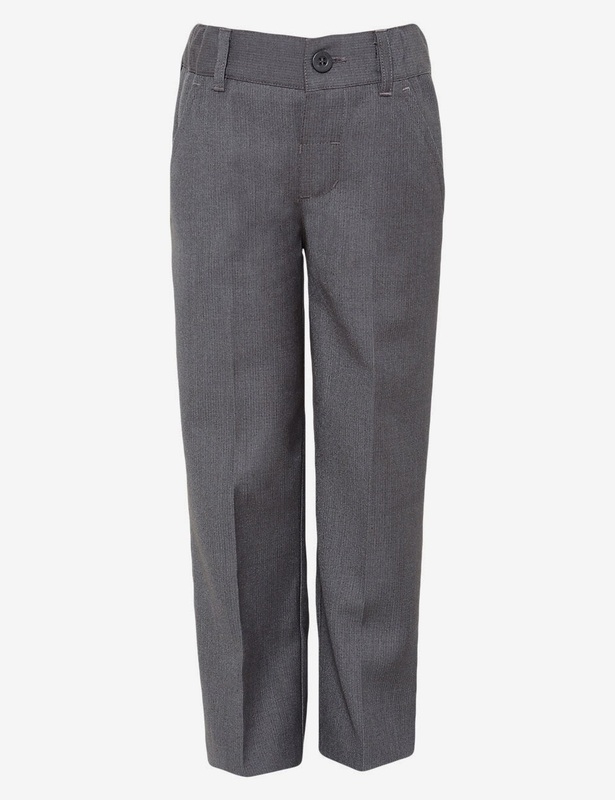 The quality of both of these items is fantastic, the trousers feature an adjustable waist which is perfect as it saves me getting them adjusted, and something which I find a necessity on children's clothes these days. The Jacket, shirt and tie outfit was also amazing quality. 'A button-down collar shirt, notch lapel jacket and a floral print tie are the ideal combination for a well-dressed look.' The shirt is a lovely light blue colour with lighter coloured sleeves. 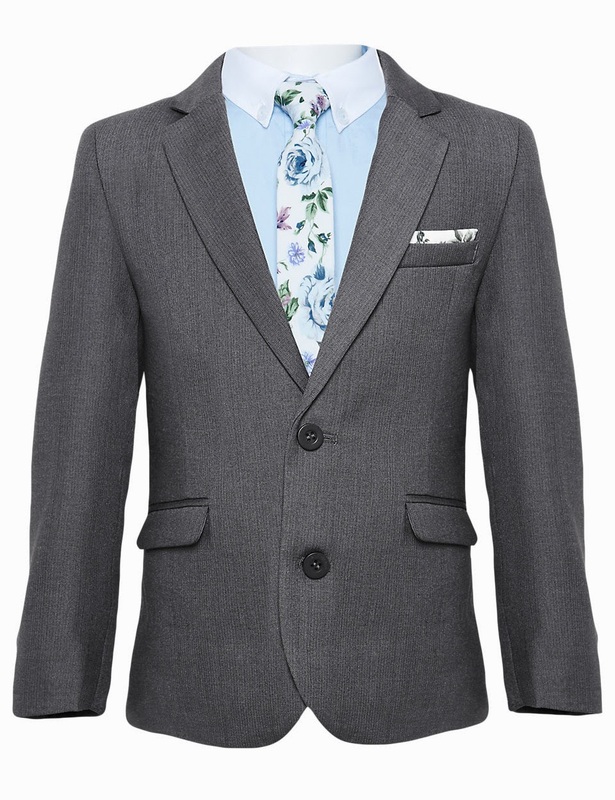 There is then a floral tie, already tied, which you simply adjust to your child's required size with velcro. The shirt also has little 'cuff links' sewn into it which I found a really cute addition. Then within the set you get a lined jacket to go over the top. The Jacket features a lovely handkerchief imitation design and pockets. The rear of the jacket is fitted so makes it look like a professional suit. Please ignore the fact that it is way to long for Jack, hes outgrowing his current size so I ordered the next size up and I will get them professionally turned up nearer the time - remember growth spurts. I would definitely recommend M&S for wedding outfits for your younger members of the wedding party as well as the older members. Their range is beautiful and such high quality as well as affordable. Please Note: I received this outfit completely free of charge for the purpose of this review. All opinions and wording are my own. Aaaaah, he looks so grown up! Like a mini business man, bless him. What a gorgeous outfit for a Summer wedding though! 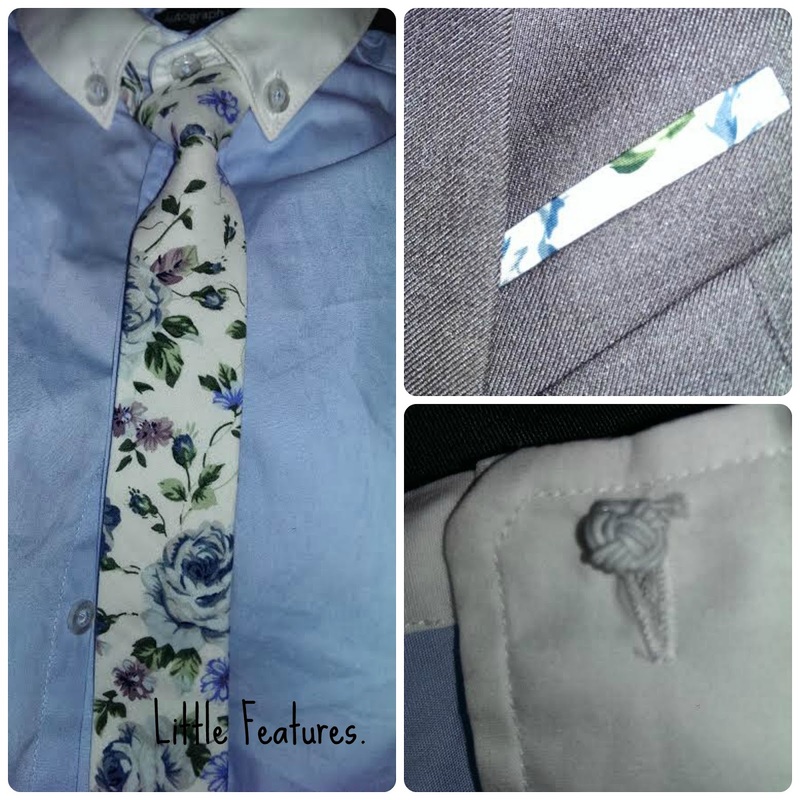 I love the flowery detail, and suits on little boys are so cute!! Oh my goodness he looks just far too cute!